There are 13 resident bat species in Florida. Although they can become a nuisance and health hazard if they take up residence in your home, garage or other structure, it is illegal to kill them. Bats can carry diseases in their fur and guano (droppings), which cause health risks to increase the longer they live in your home. Critter Control® of Tampa will help eliminate bats from your home through exclusion, a one-way device allowing bats to leave your home, while preventing them from returning. However, even this practice is closely monitored by State of Florida guidelines, which limits when we can practice exclusion due to the possibility of harming baby bats. There are also weather conditions under which exclusion may not be used because removing the bats from their roost at that time may endanger them. With these strict guidelines surrounding bats, we recommend you consult the experts at Critter Control® of Tampa to help remove bats from your home. Our wildlife specialists understand the laws regarding bat removal in the State of Florida, which allows us to humanely remove bats at the appropriate time. 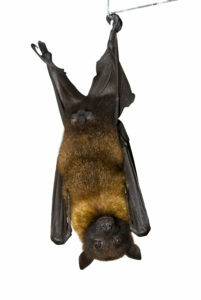 After the bats are gone, we can also replace and repair the damage done when entering and nesting in your home. All of our exclusion work is back by a minimum 3-year warranty, with the potential for a lifetime warranty as long as consistent Critter Control® Tampa services are used. Give us a call at 813.948.0870 or fill out a form to schedule an appointment for a free inspection.